I really am a very very very big Facebook skeptic/critic (for all the right reasons if you ask me). There is rarely a week going by where I’m not reading any weird news about what they can do with all the things you post on that site. So I avoided it as good as possible. Recently though I spoke with a couple of friends about it all, and when it comes to promoting my work, even the skeptics among them told me to go for it. After literally 2 months of thinking back and forth I decided to give it a try. So yeah, there I am, still looking a little confused at what Facebook can do. It’s really a beast and luckily some of my friends guided me through it. Especially the privacy and security settings. A big thanks out to them. 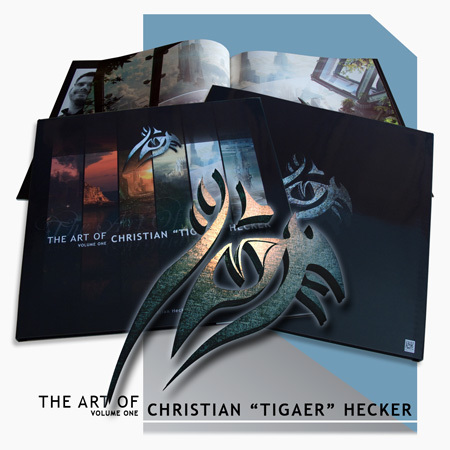 There are already some things up and ready for you to view, but I have other things planned to do on my Tigaer-Design.com Page – well, aside of the usual posting of artworks, I also plan to drop a couple of detail snapshots of my artworks every now and then. Due to the fact that I’m a little ridiculous with putting detail in my pics, that no normal being could ever see on the downsized pics I usually post. The pics within pics so to say. =) There are a couple posted already. Larger than the usual print preview pictures I create for my bigger projects. Hello ladies and gentlemen, dear Vue users and interested folks. In this little article I, once again, plan to share some wisdom with you fine folks. Said wisdom was partly very painfully acquired through creating a lot of nice pictures. I’m sure you’ve seen some of them. If not, shame on you and go here! Most of these pictures were created by using Vue and Photoshop. Some of these pictures really got me on the edge of the possible. Both mentally and technically. I had to find several workarounds to avoid really painful slowdowns. Especially when scenes were loaded with hundreds of objects. And I’m not counting Vue Eco-system objects here. Since Eco-system objects are handled differently then normally placed (by hand so to say) objects. The most stable machine I ever had but I’m also looking out for a new one right now. After 4 years working with this setup, I guess it’s time. All hints are regarding still image renders and not animations. Every now and then I had the problem that Vue drowned in some sort of infinite loop. It looked like it was trying to refresh the preview windows. The titlebar kept flashing weird. Happened on scenes with very very high polygon count. Problem was that Vue got stuck and no further work was possible. Solution: Now this sometimes worked (not always!) and it could help you as well. Just minimize the Vue application into your taskbar. Wait a few seconds. Maximize the window. Chances are good that Vue calmed down and is ready to work again. First thing to do: save your progress! After setting up a new Windows recently, I discovered that Vue suddenly refused to pan when holding the Right Click button on my Wacom Pen. I remember it working fine before I had to reinstall Windows. No idea what went wrong. It literally took me months to figure out what caused my Wacom Pen not to work properly in Vue. Solution: What seemed to have happened is that I accidently changed the Left/Right Click configuration of the Mouse and switched the buttons. Something that can be handy for left handers like me. I also had a special Mousedriver Software installed. In that case the SetPoint software by Logitech. There I did not change/switch the Left/Right Click button configuration. I guess the Windows and Driversoftware configuration have created a conflict that confused the Right Click of my Wacom Pen. I have no idea how that’s possible but after setting the Windows Left/Right Click setup back to normal… the panning with the Wacom Pen worked again. This is probably something you know forever. Well, it took me a while to learn about this. So it could be that there are still folks out there who don’t know this. Especially in Atmosphere settings you can go into extreme values. Fog, Haze, Glow for example allow you to go higher than 100. Same goes for the Cloud Settings. So if some effect is not quite where you want to have it while being on 100 already… try a higher number. Same goes for fields that only seem to go to 4 or 10. Chances are good that it works. Still… there are some settings that won’t go higher than 100. If you are working with Vue, and load a couple of heavy scenes in one session, it could be that you will experience a massive slowdown. Or that even simple objects will be drawn with a box instead of a more accurate model. Solution: Then it’s good to try File -> Purge Memory. This clears your memory from all data that is currently not used and makes space for the things you are working with at that moment. Or clean up the memory by just closing Vue and reopen it. Can cost time if you have to load heavy scenes but you will get the time back since the workflow is more fluid again. You should also work with layers a lot and use the ‘Show Only Object From Active Layer’ option in your Main Camera view. That can be very helpful when working on polygon heavy scenes. Whenever you expect a render to be very time consuming, try to minimize the effort by splitting your project into different renders. Especially with a spectral atmosphere and spectral clouds. First render your scene without clouds. Then go for a second render with clouds. Clouds of course take ages to render. Clouds in Vue can look good with lower quality settings. The only thing to keep an eye on is the atmosphere quality. That should at least be on 2 – to minimize noise withing the clouds. Advances effects quality can be 16%. That’s not the best value for the scene render. But clouds still look good with only 16%. LAst but not least render with multipass to have your clouds rendered with a mask. This will allow you to place your clouds within your scene in no time. Cloud shadows can easily be painted in via Photoshop. I recently stumbled over a weird issue when I tried to render a picture with active multipass options. The scene had a couple of Ecosystems that contained Vue objects (.vob) I saved over the time for later use. The render couldn’t be started and I got a message that told me I don’t have enough RAM. That was weird since I already rendered much larger pictures than the one I wanted to do then. Then I noticed that the render process always tried to render passes I did not even select to render. When the render tries to render 40 3500x2000px pictures… of course the RAM is not sufficient. Then I noticed that it’s always Ecosystem materials that were marked in the options. Removing the marks did not help. The render process was always rendering the Ecosystem material passes no mater what I tried. Then, in a painful timeconsuming process, I filtered out the objects that contained said materials and opened them one by one in a new Vue scene. Sure enough these objects were saved WITH active multipass material options. I deactivated the selected material passes and saved the objects without a single selection active in the multipass options. A clean save so to say. Then went back to my original scene and replaced the old objects in my Ecosystems. Sure enough the render did what I wanted without trying to render the phantom passes from earlier. This list will probably extend when new stuff comes up. Hope it will help someone out there at some point or another! And if you are a regular Vue user, don’t hesitate to contact E-On Software’s support. They’re usually very fast and friendly. This year was and interesting one. Ups and downs here and there. Business as usual I guess? We even survived the apocalypse a few days ago! Guess we’re all lucky! Overall it was a good one and I cannot believe how fast it went by. 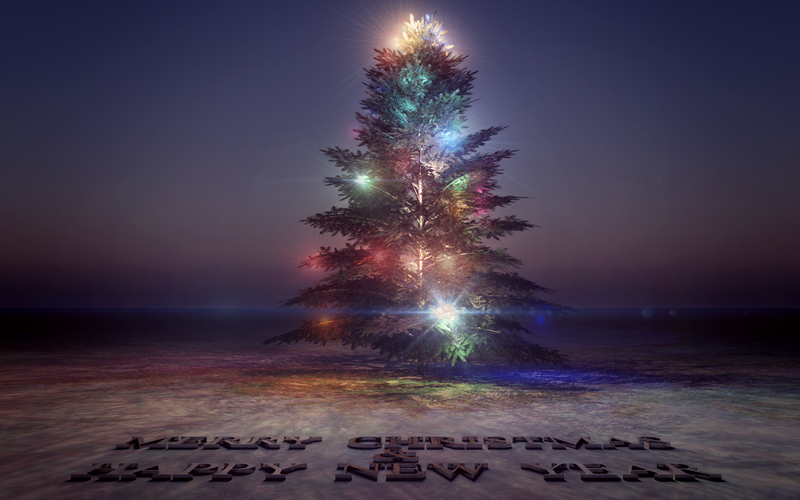 For now I wish you guys a merry christmas and a very happy new year! I hope your 2013 will be one of your best and successful years! 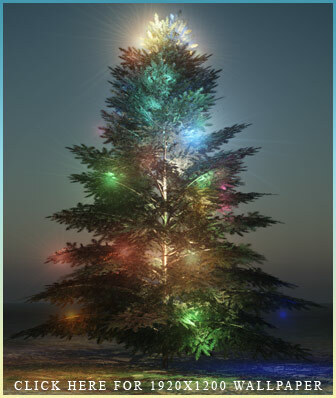 Keep it up and thanks a lot for all your support through 2012! Hope to see you again next year! 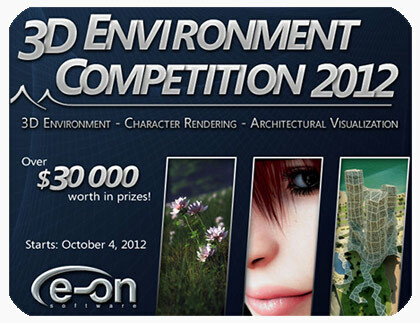 Unexpectedly I managed to make it into the final selection of E-On Software’s ‘3D Environment Competition 2012’. Due to the rules of the contest I did not release the picture on any site but will do once the contest is over. That includes Wallpapers of course. All the finalists have some really nice work and surely deliver a hard competition. If you’re interested to take a peek… just follow the link. Winners will be announced on January 10th. Wish me luck! And of course a good luck from me to all finalists! 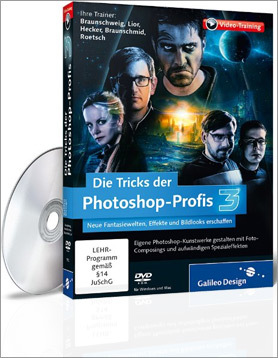 Anfang 2012 wurde ich von Galileo Press kontaktiert und gefragt ob ich denn Interesse hätte an einer Workshop DVD mitzuarbeiten. Anfangs hatte ich meine zweifel, ob sich meine Arbeitsweise wirklich gut erklären lassen würde, da meine Techniken doch ein ziemliches Chaos sind. Nach einigen Überlegungen und Gesprächen mit Projektbetreuer Hendrik Wevers, habe ich dann doch ein paar Details heraus filtern können, welche durchaus ein Workshop-Kapitel ergeben könnten. Mitte des Jahres habe ich dem Studio einen Besuch abgestattet, um die Aufnahmen zu tätigen. Das Umfeld war super und sehr hilfsbereit. Gerade wenn man solche Aufnahmen das erste mal macht, ist eine helfende und geduldige Hand sehr hilfreich. Konzentriert habe ich mich, für meine beiden Kapitel, auf das verbessern von 3d Landschafts-Rendern, Texturierung und Optische Effekte in Photoshop. Auch bei diesem Projekt konnte ich wieder einiges lernen. Für die Aufnahmen sind zwei Bilder entstanden, an denen ich einige interessante Techniken erklären konnte. Even if the DVD is produced in German language, I want to give some info in English anyway. So it came that I got mail from Galileo Press, early 2012. Well known for its software training books and dvds, they asked me if I’d be interested to do two chapters for a new release. I hesitated at first, asking myself if there is anything I could fluidly explain. Since, to be honest, my working process is a real messy thing. After talking to project manager Hendrik Wevers, I came up with a few ideas. A lot of planning and preparations went into the setup of the chapters. At the Galileo Press studio I had the chance to record all my chapters. Thanks to the very helpful staff, that was always there if questions or problems came up. For my part I’m explaining how to detail out 3d landscape renders. Texturing and the creation of optical effects in Photoshop. For the DVD I created two pictures that helped me explaining how to get certain details. All in all it was an interesting experience. And again I can say that I learned a lot. Yet again I have to announce something that makes me proud. For the past year I sat down and created a neat little art book. This book contains 9 of my personal portfolio favourites on a very high quality 30×30 cm / 12×12 inches paper. All of them on two-page spreads. So basically 60cm wide. That gives some amazing detail! Additionally it’s packaged in a very well produced and manufactured binding. For details feel free to check this page. There you can find all necessary info about the book as well as detailed photos. Good question! The last couple of weeks I was really busy with all sorts of things. That left me a little hanging when it comes to new pictures or personal projects. Soon will be the next ‘The Luminarium’ artpack release and that’s when I can present something new too. I can also say that there will be more than only that. Until then I have some more boring movie reviews. If you have any feedback to whatever you see on the site… just shoot! Very appreciated! So yeah… stay tuned… check in from time to time…! New stuff, inspiration and wallpapers soon! Promised!